When is Discipline in Fort Lauderdale Child Abuse? A Boynton Beach woman is facing criminal charges after police say she beat her young son with a belt after he was reported at school for bad behavior. Fort Lauderdale criminal defense lawyers know that 50 years ago – and even today in certain cultures – such conduct would barely cause a raised eyebrow, let alone criminal charges. In fact, this was historically seen as a form of good parenting. In fact, in 19 states in this country – including Florida – corporal punishment is not only allowable, it is sanctioned and carried out by school administrators. The boards used to paddle children are about 5 inches wide and 1/2 inch thick. They are often hand-made, sometimes by students themselves in wood shop. But times have changed dramatically, and criminal laws are always evolving. Even though Florida lawmakers have been working to ban corporal discipline in Florida schools, the measure has so far been unsuccessful. Most Florida schools have opted out of the practice, but clearly not all of them. And yet, it appears we use a different measuring stick when it comes to the actions of parents seeking to discipline their children. Florida Statute 827.03 defines child abuse as the intentional infliction of physical or mental injury on a child or an intentional act that could reasonably be expected to result in physical or mental injury on a child or the active encouragement of another person to inflict physical or mental injury on a child. “Physical injury” is a vague term, and fails to differentiate from severe welts and bruising to hand prints and scratches. This is not to say that there are not parents who take it too far. But in a state where we allow school officials to paddle children, the line often seems unclear. In this case, the 34-year-old mother was upset with her son, age 5, for bringing home a bad conduct report. Essentially, these are issued when a child acts up in class. She then reportedly took her into his room and whipped him with a belt. The noise woke the boy’s father, who asked the mother to stop. Somehow, an investigator with the Florida Department of Children and Families learned of the incident and started an investigation. The boy had a single vertical mark across the side of his back, as well as several bruises. 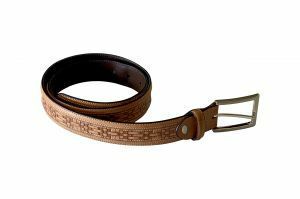 The boy said that his mother disciplined him and his sister with a belt when they misbehave. They also have a younger brother, age 1. There is no indication that the infant has been subjected to any physical harm by the mother.